Holds many secrets, none known. Ninot started out as a small human cannonball for the Global Touring Circus, and was often the star and main attraction. Over time, he expanded his act, and developed other skills – particularly in the areas of ventriloquism and magic tricks. He uses these skills to confuse and evade his enemies. His sleight of hand in particular has allowed him to get away with a lot over the years. Ninot’s small compact frame and agility combine with his twisted personality to make him a vital member of the Doctor’s villainous family. 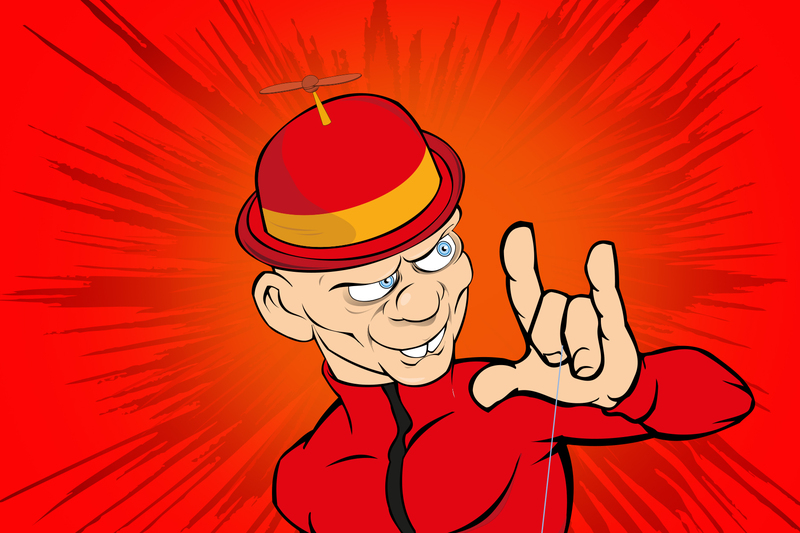 Some might describe Ninot as a kind of crazed genius, inventing all kinds of special tricks and gadgets – some of them lethal. But watch out! He is fond of incorporating them into his bizarre collection of hats. Ninot is, bizarrely, also very gifted with computers and programming. He is an extremely talented hacker, capable of breaking even the toughest computer security. As with most other things about Ninot, nobody really knows how or why this came to be. Dr. D. Vider puts his skills to good use, however, and Pythagoras 1 and Marcus are constantly fending of Ninot’s attempts to hack into their systems and break their security. Pythagoras 1 in particular is terrified of Ninot, because he fears that one day if Ninot were to get into their systems (and he has come close on quite a few occasions), he would shut down Pythagoras 1 permanently and erase his memory. Ninot is truly bizarre and nobody really understands him. Buzzing with an incessant, rambling energy, Ninot is really unpredictable to the point where he can worry even his allies. Having been in the circus for so many years has given Ninot a certain sympathy and affinity towards animals. He seems to have some form of understanding and connection with them, and when he is dealing with animals it seems to be the only time he is ever really calm and normal. Not every animal is his friend though. Ninot is extremely afraid of Lupo. 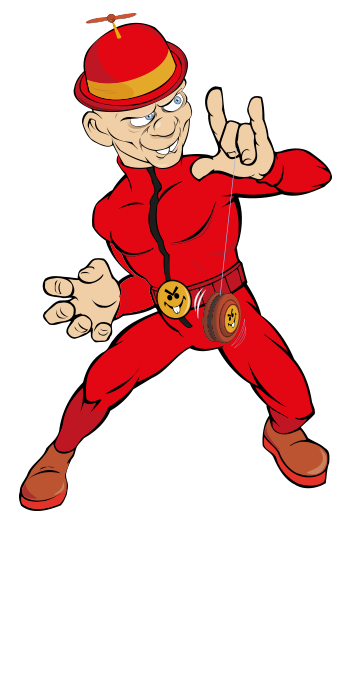 Ninot is extremely fast – faster than anyone on Captain Euro’s team. He also has lighting fast reflexes and sleight of hand, making him a very slippery opponent indeed. He is small in size but this does not hurt him much as he is nigh on impossible to actually catch in the first place! Nobody knows anything of Ninot’s origins or real name, as he keeps this a closely guarded secret, which he will likely take to the grave. As of yet, our intelligence has been unable to unearth this information either. 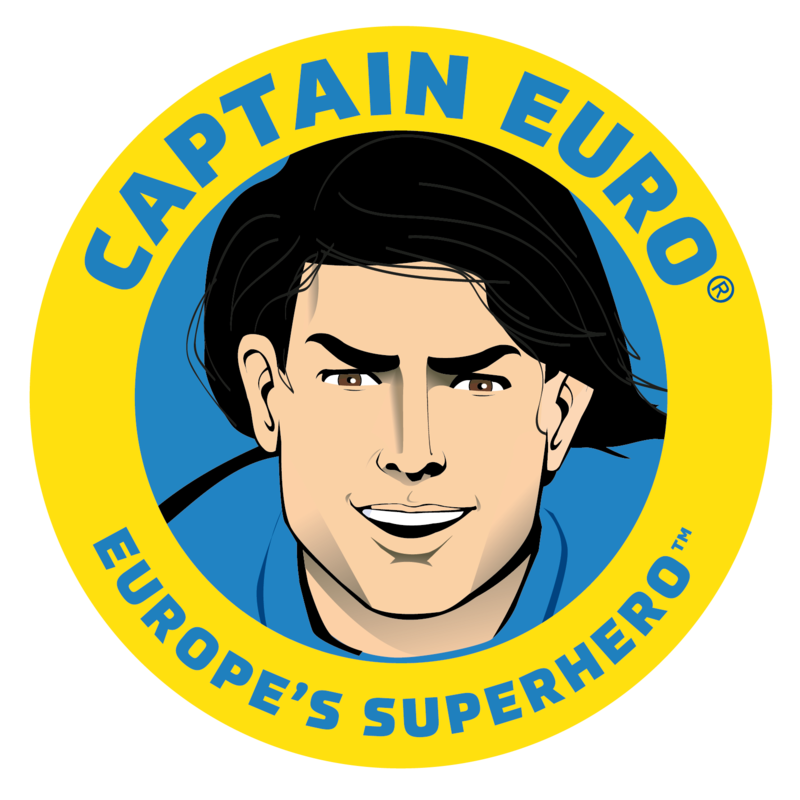 Will Captain Euro ever be able to unearth some clues? Ninot is addicted to BlueCow, an experimental super energy drink produced by DIVIDEX, which has been rejected by all food and standards agencies for many years, and so is not sold on any market. This, combined with Ninot’s eccentric personality, makes him extremely twitchy and unpredictable.